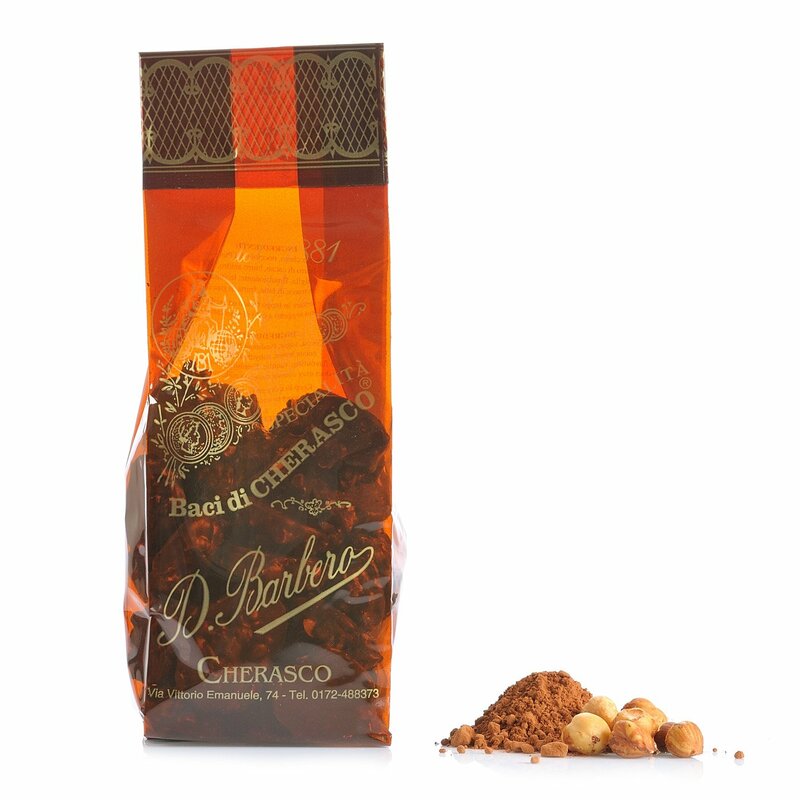 Eataly proposes scrumptious baci di Cherasco, typical confections of Piedmontese tradition. With their delicious crispness and traditional irregular shape, the unique flavour of these biscuits is a direct result of their simplicity: cocoa, sugar, Piedmont hazelnuts, cocoa butter and vanilla are blended together for an explosion of exquisite flavour. Try these biscuits with coffee or serve them to your guests at any time of the day to discover the amazing flavour of a traditional Cherasco speciality. Ingredients Cocoa, sugar, Piedmont hazelnuts, Cocoa butter. Emulsifier: soya lecithin. Flavourings: vanilla. Allergens: Soya, Hazelnuts. For more information on product labels, please contact our Customer Service department. The information on the labels of the products may vary for reasons beyond our control, therefore, there may be discrepancies between the information on the site and that on the products delivered. Please always check the information on the product before consumption or use.